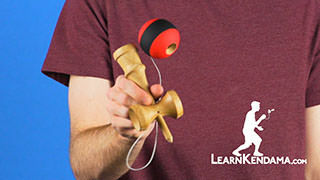 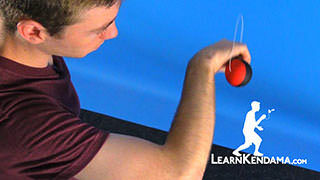 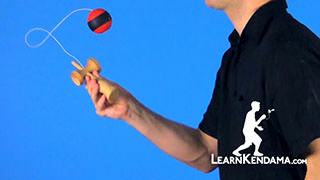 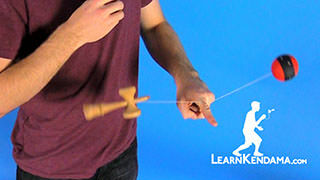 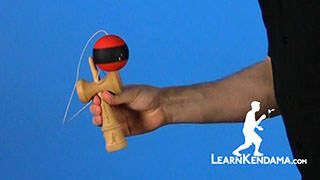 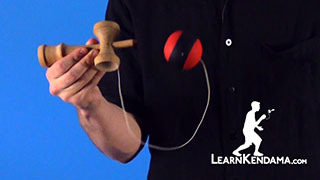 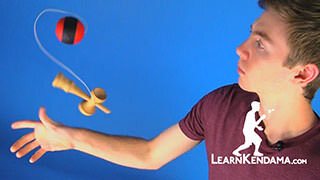 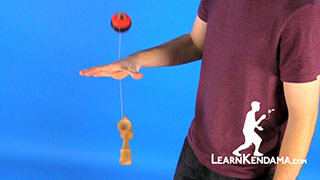 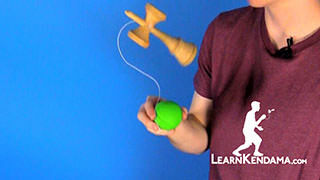 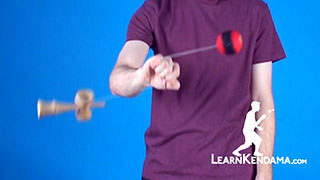 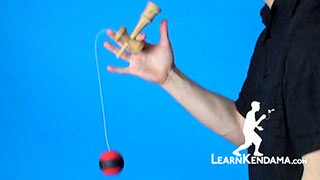 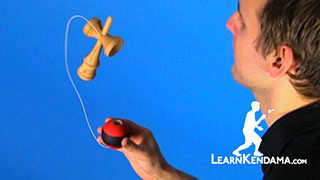 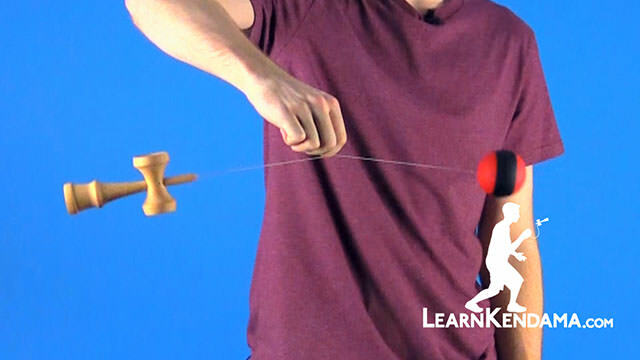 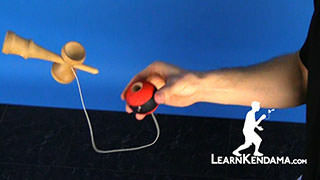 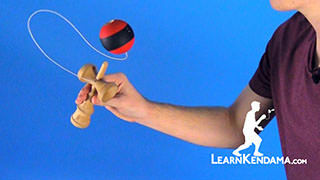 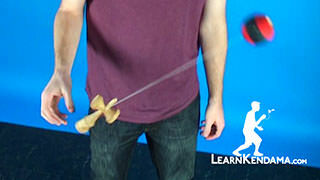 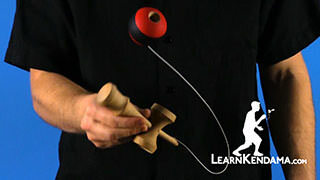 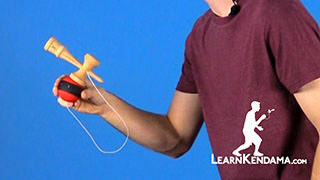 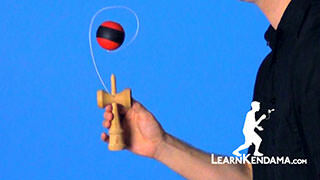 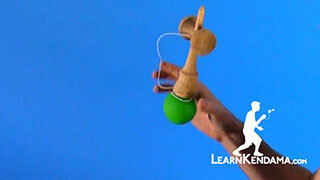 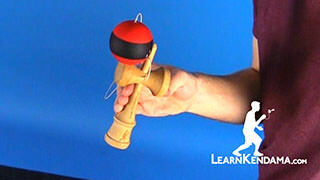 Learn the Hurricane Kendama Trick. 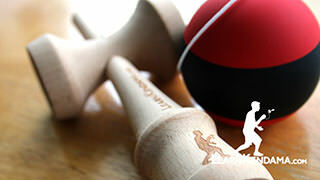 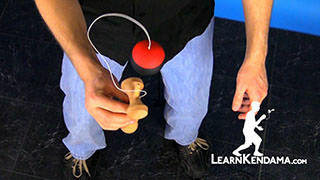 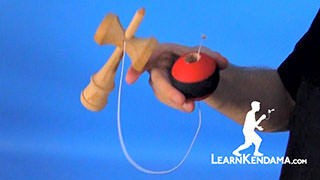 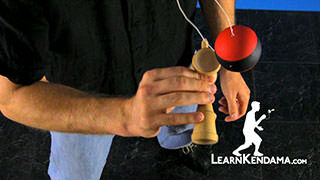 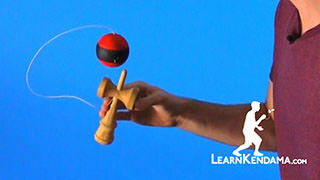 Hurricane Kendama TrickIn this video we will be teaching you the kendama trick known as Hurricane, which looks like this. 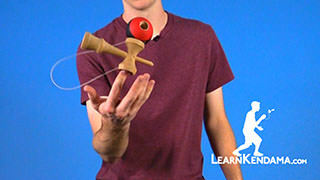 It is commonly used to transition into other tricks, like the Carousel, or to get out of combos like Space Walk, which looks like that. 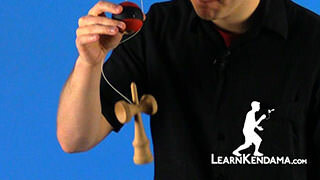 Let’s learn the trick. 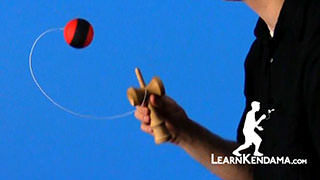 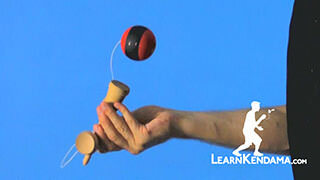 You are going to start off by holding the ken in your non-dominant hand and let the tama hang freely like this. 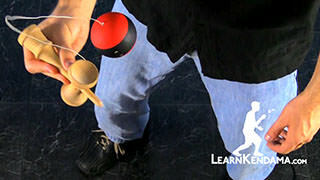 You are going to take your dominant hand and grab in the center of the string with the very front tips of your hand and you are going to put a very light grip on it. 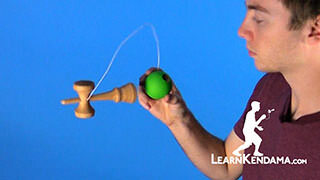 Then, you are going to measure out so that the tama is in-line with the sarado of the ken, which will help it balance out so when it is spinning the ends are opposite of each other, and it will correct itself. 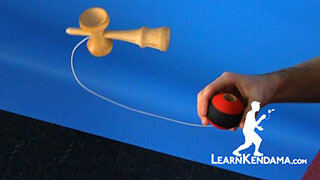 Then you are going to use your thumb and pinch on the string on your index finger, so the string does not slip out. 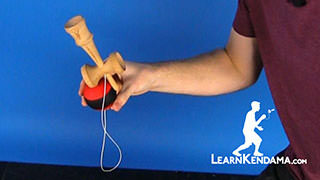 Then, to practice, you want to hold the ken and you are going to swing the tama in towards your body above your forearm and then below. 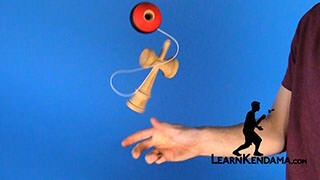 This is going to be the whole momentum of the trick. 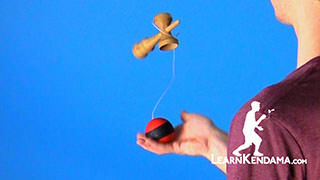 Once you feel comfortable enough doing that you then let both pieces hang. 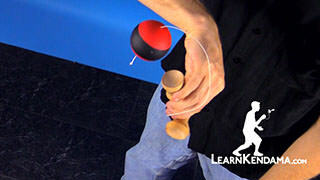 You are going to start off with the tama leading above your forearm and then below your forearm. 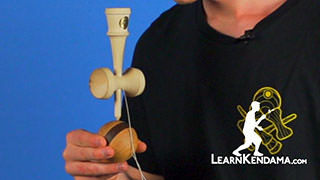 Both pieces circulate, and you can see that the tama and the ken are opposite of each other. 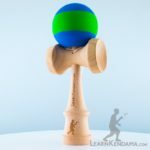 If you feel like they are clacking a lot, or getting close to each other, because they are not perfectly balanced, you really want to emphasize getting the tama even with the sarado.